Chairman and CEO Rob Flaherty and Europe COO Mark Hume will oversee the Omnicom Group firm's European operations. LONDON: Omnicom Public Relations Group has named Ketchum partner and European CEO David Gallagher as international president for growth and development. Effective Tuesday, the London-based Gallagher will report to Omnicom Public Relations Group CEO Karen van Bergen in the newly created role. He is tasked with leading initiatives to deliver more collaboration among the group’s agencies around the world, focusing on areas including building integrated client teams, talent development, new business development, and new client-service propositions. Gallagher will also work closely with agency leadership teams to optimize the group’s performance, van Bergen said. "His new role is all about accelerating growth internationally," she said. Van Bergen added that Omnicom PR Group is seeing significant opportunity in markets including EMEA, Asia-Pacific, and Latin America. Gallagher will form integrated client teams in those parts of the world, but also work closely with those in the U.S.
"We think when we have a strong leader in place to work with our local teams there, that we can accelerate growth and foster further collaboration, explore new opportunities, and new markets," van Bergen said. Gallagher has served as partner and European CEO at Ketchum since 2011. "I will be focused on business opportunities, and helping to close new business wins is an area I will be focused on immediately," he explained, adding that he will look for ways to attract talent to Omnicom’s agencies and explore ways for the firms to work together with clients. Gallagher is not being directly replaced as Ketchum’s European CEO. European CFO Mark Hume is taking on the additional role of Ketchum COO in the region. Hume will report to and partner with Ketchum chairman and CEO Rob Flaherty to oversee the agency’s European operations. Gallagher is moving one floor away, and will continue to work closely with Flaherty and other Ketchum staffers. Hume will be focused on Ketchum’s vision, strategy, client service, bringing in new talent, acquisitions and development, and making sure the firm is performing well financially, Flaherty said. Hume will continue in his regional CFO role, in which he has worked since 2009. "One of the things I love about [Hume] is he is right at the top of the list of people on the financial side who have shown a tremendous acumen for the other dimensions of the business, such as the talent development side, working with clients to make sure they are getting the service they need, and then thinking strategically about the business," said Flaherty. "This is why we have benefitted so much from [Hume]." He added that Ketchum has grown five-fold in Europe under Hume and Gallagher over the past decade. "For me, it is going to be business as usual," said Hume, about his new role. "I will be focusing on quality of service, financial performance, and those markets that show the greatest potential and opportunity for growth." Prior to leading Ketchum in Europe, Gallagher ran the agency’s London office and served as head of its European healthcare practice. He joined Ketchum in Europe in 2000, after running the agency’s healthcare group in Washington, D.C. since 1994. Hume joined Ketchum in 1996 as finance director for the U.K. via Ketchum’s acquisition of Scope Communications. He was named COO of the U.K. in 2001 and European commercial director in 2004, managing all aspects of commercial and operational development for Ketchum’s offices and affiliates across the region. The appointments are the latest in a string of leadership changes at both the Omnicom PR Group and Ketchum. Last month, Ketchum senior partner and North America CEO Barri Rafferty took on a wider global remit as worldwide president. Ketchum restructured its senior leadership team in June, replacing its executive committee with a 20-member global leadership council made up of top executives from around the world, reporting to Flaherty. 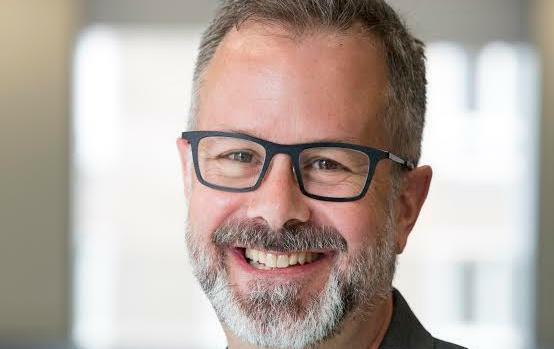 Omnicom pulled together the PR firms in its DAS division in February into the Omnicom PR Group, putting former Porter Novelli CEO van Bergen in charge of the unit. Omnicom Group's PR agencies reported flat organic revenue growth in its second-quarter 2016 financial results, up just 0.1% to nearly $350 million in the period, compared with a Q2 2015 in which it was up just 0.3% compared to the prior year. As well as Ketchum, the group’s PR firms include FleishmanHillard, Porter Novelli, and Marina Maher Communications.